MissionStatement We are committed to going to work for our clients. We believe the only way to do that is to focus on doing what's right - putting the client first. Who WeÂ Are Keith and Howard started Round Table Realty in 2010 after a career in new construction sales. While interviewing with several brokerages in town, they both came away feeling like the industry had lost its heart. Getting the sale seemed more important than serving clients. So they took a leap of faith and started their own brokerage with one mission in mind - putting People Before Property. They call it heart-first realty. And that just seems like the way it should be, doesn't it? Kim Felix Born and raised in Brooklyn, Kim Felix brings a little taste of New York with her everywhere she goes. A natural saleswoman, Kim began her career in sales at the age of 23. Upon meeting and marrying her husband John (happily married for over 25 years! ), she gave birth to two beautiful sons while juggling a career. From high-end cosmetics to luxury toys, Kim could sell just about anything. When John started in Real Estate in the early 2000s, Kim considered joining him but wasn't ready to leave the company she was loyal to. After watching him thrive in Real Estate, Kim decided she was ready to join him and her Real Estate career began. She's loved working for individual buyers and sellers with Round Table Realty because she truly believes that people are the most important part of her business. When she's not helping buyer and sellers, she loves working out and subsequently, eating great food! A foodie at heart, you'll often find her at some of the most exciting restaurants in Jacksonville. Did she mention she loves food? Her oldest son now in college and youngest starting high school soon, Kim is enjoying the flexibility she now has and focuses much of her time serving her clients or snuggling one of her miniature poodles (Frankie and Roxy) and her cat named Belle! 90% of people in the market for a new home use the internet to search for the perfect place! Round Table Realty Realtors can save you time by improving your internet searches so you aren't pouring over listing details that all begin to look the same. What the internet can't do is tell you when a home smells musty, when an electrical panel needs to be replaced, whether the finishings were properly installed, and when evidence of a past water leak can be found under the guest bathroom sink. Our Realtors are not home inspectors, but they can give you visual clues as to the health of a home before you put in an offer. 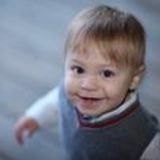 OurBuyers Lending Partnerships In most cases, you should begin to secure financing before you even start home-shopping! Luckily, we've spent years building relationships with lenders who believe the client comes first. We can lead you in the right direction. Insurance Partnerships Did you know home owners insurance alone doesn't cover flood damage? Did you know certain breeds of dogs aren't covered under a traditional policy, either? We work with the best of the best in the insurance world to ensure your home is covered long after we close. We Hold Escrow People Before Property means holding your binder (the money you put down when your purchase offer is accepted). Should the sale fall through, the seller could fight to keep that money. Holding your escrow means you have the option to get that money back for free via the state. No lawyers. OurSellers Round Table Realty is a top 20 Real Estate Brokerage in North Florida (2017/2018) with over $110Million in sales in 2017! We sold an average of 1.31 homes per day in 2017. Round Table Realty homes sold for 98% of list price in 2017. Our homes are on the market an average of 68 days. The area average is 53 days. This might seem like a bad thing... but our interest is not in offloading your home at a low price. We put people before property, and that means we won't give your home away just so we can put a "sold" sign in the front yard. OurSellers Pricing your home Our Realtors will help you price your home according to market analysis. We want your home to sell at the right price for you. Marketing How do buyers find homes? Online! So where should your home be available when you list it? Online! We are committed to getting your home shown on the most popular home-shopping websites. And depending on your home's individual needs, we have a lot of other tricks up our sleeve to ensure the word is out that your home is on the market. OurSellers Listing Videos Some homes require special attention. Maybe they're unique, they've been on the market with another agency, or the sellers can't show the home as often as they'd like. We have the capability to create a digital, 2-minute narrated walk-through of your home to give potential buyers a sneak peak without making a physical visit. OurSellers Professional Photography Every Round Table Realty home listing is professionally photographed and uploaded to the three major online home-browsing websites. A beautiful picture truly can sell a home. Home Staging The better your home looks, the faster it sells. We have access to incredible home stagers (at affordable prices, too!) who will make your home look elegant, simple, and allow potential buyers to see themselves in it. We can even provide you a digital home staging with computer generated pictures as a less expensive alternative. OurSellers Floor Plans 80% of buyers say they specifically look for a floor plan when researching homes. And you should see some of the floor plans we've encountered in some listings! We've got several professional floor plan designers on hand whenever you're ready to list your home. They can make all the difference. The Details "Should I replace the carpets?" "Should we repaint this room? Round Table Realty agents can give you advice about which home improvements you should spend money on, and when, as soon as you decide to sell your home! OurSellers Where will we post your home listing? ConstantCommunication Never guess or miss a real estate transaction deadline again! Round Table Realty uses a client online portal to help you keep your timelines clear. From the day an offer is accepted, both buyers and sellers can log-in to keep track of the many steps and details required of both parties! "I worked with Kim Felix in Oct and Nov of 2018. She helped me find my new winter home in Fernandina Beach. It was a pleasure working with her. She was very responsive to calls, texts and emails. She always kept me in the loop with her schedule so I would now how to reach her. Kim went out of her way to view properties for me and then FaceTime the ones that met my criteria. She was always willing to go the extra mile to make sure all my questions were answered. I highly recommend her for all your real estate needs, and will be using her services next time I need a real estate professional. A very happy client, Bonnell F." "What a privilege it has truly been to have Kim Felix as our family’s realtor in the Jacksonville market. Ever since day one, she has taken a vested interest in what my family and I have been looking for in an unfamiliar home market. She listened to us and treated us with dignity, warmth and integrity—values that stood out amongst other realtors that we have spoken to/dealt with in the past. She always made herself available and took every chance conceivable to address our concerns. 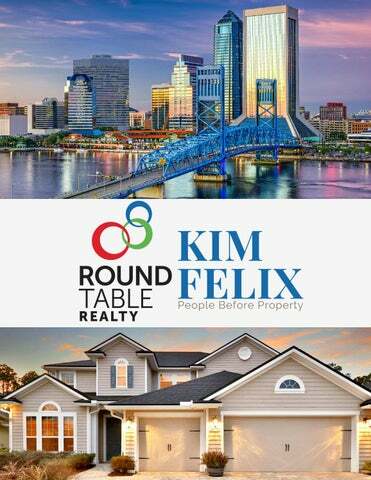 If there is only one Realtor my family and I would personally recommend for thoroughness, professionalism, tact and grace in the Jacksonville market, it would be Kim Felix… hands down. Sincerely, Al L."
Showing Checklist 1. Open all blinds. 2. Replace old light bulbs. 3.Â Turn off main lights. You can leave under cabinet lights and lamps on. 4. De-clutter! Surfaces and floors should be clear. 5. Put down toilet seats. 6. Wipe down all surfaces. 7. Make sure no dirty dishes are in sight. 8. Make all of the beds. 9. Take out all the garbage. 10. Add fresh plants. 11. Bake cookies or light a scented candle.